Copa Style's Fashion Correspondent, Professional Model Elena Maconaughey reports on the VIP Exclusive Fashion Event at the Gaylord in National Harbor in Oxon Hill, MD. There has been a lot going on in the DMV area for the past couple of months. Lots of different shows, events and galas. In this article I would specifically like to report on one of the most recent events that I was pleased and honored to be a part of. 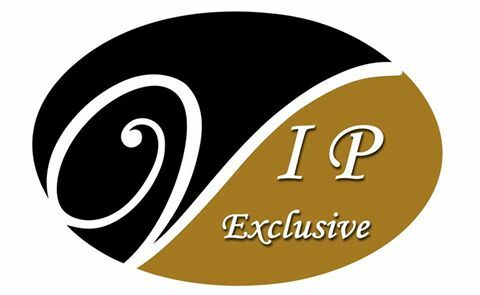 Yes, I am talking about that lucrative and extravagant event that everyone has been buzzing about - VIP Exclusive Fashion Show. VIP Exclusive Fashion was founded in 2004 by Terrance Shaw. "Luxury" is the key element of his remarkable show. This is one of the reasons why that company is so unique.....and, I would like to explain to you why. Besides, just throwing elaborate shows, bringing the most lavish cars and stunning models, they always have a powerful reason behind it. The focal point of the majority for the VIP Exclusive Fashion Shows is charity. This is the most impressive show that I have had pleasure to attend and pleased to be a part of, took place at Gaylord Convention Center in National Harbor on December 6th, 2014. It was organized in support of keeping homeless children of the streets of Washington DC. It was very heartwarming to see how many people came to support the cause and how many companies and organizations contributed to it. With all the respect and appreciation to all the major supporters, I would specifically like to call attention to the Signature Sponsors like "Exclusive Automotive Group": Bentley, Aston Martin, McLaren and The Secret to Life Coaching. These groups made an enormous impact on the entire setup of the show and of course, along with other contributors made a generous donations to the charity. The VIP Exclusive was organized in collaboration with Kavila Entertainment, which made it even more existing. The Bollywood Dancers put an amazing performance on, which kept the crowd entertained and delighted. To top off the event, the presence of the celebrity guest, a former Redskin and a Super Bowl Champion Gary Clark made the event more exciting. Overall, I would like to say that It was very encouraging to see the most influential crowd of the DMV area let their guards down and gathered together for the sake of children. Model Tip#2: "Respect the Designer's clothes and never dare to misplace it!